Cannes 2018: Which Films Are Most Likely to Succeed Beyond the Festival? As the market for highbrow specialty movies gets smaller, Cannes is showing signs of not keeping up with the times. Slim pickings this year make Cannes feel like the canary in the coal mine. While cinephiles and critics have plenty of promising art films to sample, the realities of a narrowing audience for specialty fare mean only a handful of the films on the Croisette will land a North American theatrical release. For one thing, Harvey Weinstein is gone from the scene, having supplied Cannes for decades with Oscar-winners such as “Pulp Fiction,” “Life is Beautiful,” “The Piano,” and “The Artist.” Weinstein’s last Cannes official selection, Taylor Sheridan’s Un Certain Regard director-winner “Wind River,” was overlooked at Oscar time. And top-drawer stars may skip this year’s first Weinstein-free AmFAR Cinema Against AIDs fundraiser at the Hotel du Cap. Also staying away this year is Woody Allen, who debuted “Cafe Society,” “Irrational Man,” “Midnight in Paris,” and “Match Point” on the Croisette. Amazon’s “Rainy Day in New York” stars hot-as-flapjacks Timothee Chalamet, but the auteur is tainted after #MeToo made Dylan Farrow’s earlier sexual abuse accusations more sticky. Last year, Cannes director Thierry Fremaux boosted his Competition lineup with two Netflix movies, Bong Joon Ho’s “Okja” and Noah Baumbach’s “Meyerowitz Stories,” but he was unable to play that card again, given France’s unforgiving 36-month theatrical exclusive window, which the streaming service cannot abide. Thus, other fall festivals will benefit from Cannes not playing Paul Greengrass’ “Norway” and Alfonso Cuaron’s 70mm black-and-white return to Mexico, “Roma,” as well as two Orson Welles movies, the finally completed “The Other Side of the Wind” and Morgan Neville’s accompanying documentary, “They’ll Love Me When I’m Dead.” Welles lovers will have to settle for Irish film historian-filmmaker Mark Cousins’ “The Eyes of Orson Welles,” which was paid for by Filmstruck (and others) but seeks theatrical buyers. Past Oscar contenders Isabelle Huppert (Michael Haneke’s “Happy End”), Tilda Swinton (Bong Joon Ho’s “Okja”), Emma Thompson (Noah Baumbach’s “The Meyerowitz Stories”), Michelle Willams and Julianne Moore (Todd Haynes’ “Wonderstruck”), Jeremy Renner (“Wind River”), Al Gore (“An Inconvenient Sequel”), Berenice Bejo (Jean-Luc Godard biopic “Godard Mon Amour”) and Marion Cotillard (Arnaud Desplechin’s “Ismael’s Ghosts”) all had films in Cannes last year, but none wound up in the Oscar race. Cannes 2017 did award Best Actor to Joaquin Phoenix for Lynne Ramsay’s “You Were Never Really Here” (Amazon), which has not taken off in theaters and remains a long shot for this year’s Oscars. This year, Cannes had to stack its juries with star power, from Cate Blanchett and Kristen Stewart to Benicio del Toro and Julianne Moore, to make up for the lack of celebrity presence. There isn’t even a Vanity Fair party. Fremaux added some Master Classes, including “Black Panther” director Ryan Coogler, “Dunkirk” auteur Christopher Nolan, who is introducing a restored “2001: A Space Odyssey,” Oscar-winner Gary Oldman, and John Travolta, who is accompanying B-movie biopic “Gotti” (Vertical). 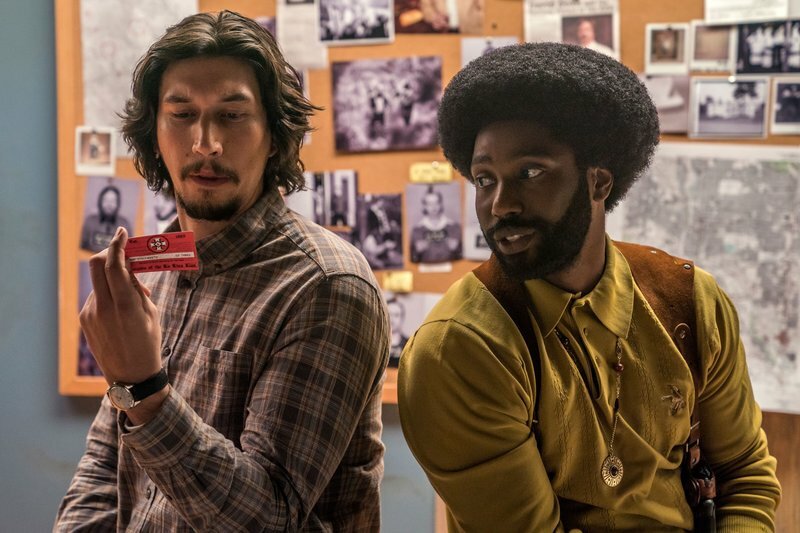 The Cannes Competition could add luster to auteur Spike Lee’s “The BlackKklansman” (Focus Features), starring Adam Driver and John David Washington (son of Lee’s “Malcolm X” star Denzel), while the leads in David Robert Mitchell’s “Under the Silver Lake,” Andrew Garfield (Tony-nominated for “Angels in America”) and Riley Keogh, are otherwise engaged. Keogh also stars in forgiven persona non grata Lars von Trier’s out-of-competition title “The House that Jack Built” (IFC) — which has no press conference. That’s all most domestic press will receive, as A24 is steering Mitchell to the foreign side, and “Jack” star Uma Thurman isn’t attending, either. Driver also stars in Terry Gilliam’s long-awaited “The Man Who Killed Don Quixote,” which may or not close Cannes due to legal troubles. Finally, distributors don’t seem to want May coverage in Cannes for North America. They’re taking meetings and checking new product reels, hoping to save their juice for the fall. Among the auteurs who chose to stay away are Cannes regulars James Gray (Plan B and Fox’s “Ad Astra,” starring Brad Pitt) and Canadian Xavier Dolan (“The Death and Life of John F. Donovan,” starring Natalie Portman), which is seeking distribution. Luca Guadagnino’s “Suspiria” wasn’t ready and will hit the fall circuit. Carey Mulligan, who’s building some Oscar buzz for Paul Dano’s Directors’ Fortnight title “Wildife” (IFC) after its strong Sundance debut, will go make the short hop from London to Cannes, but not her American costar Jake Gyllenhaal, who is prepping his Leonard Bernstein biopic. Focus Features’ Wim Wenders Pope Francis documentary will play best in Latin America, as he speaks directly to the camera in Spanish. (The Pope will not attend.) Roadside Attractions is releasing music biodoc “Whitney” from always-reliable Kevin Macdonald (“Touching the Void”). The film with the most advance buzz is Amazon Studios’ Pawel Pawlikowski period war romance “Cold War.” (Word is, get out your handkerchiefs.) The Polish auteur could follow up Oscar-winner “Ida” with another contender. Outside the main Competition, Disney is flying in Ron Howard’s starry cast of “Solo,” having already completed their domestic press duties — Alden Ehrenreich, Woody Harrelson, Emilia Clarke, Donald Glover, Paul Bettany and Thandie Newton — for an international premiere, Carlton Beach party, and junket for the “Star Wars” spin-off. And they don’t have to do a press conference. Sure, Sony Pictures Classics, IFC, Neon, Roadside Attractions, Amazon, The Orchard, Kino-Lorber, and others will trawl the festival for breakout foreign films likely to gain Oscar traction, but only a precious few will reach North American theaters. Asghar Farhadi’s Spanish-language opening nighter “Everybody Knows” boasts red-carpet-friendly Spanish couple Javier Bardem and Penelope Cruz — and has interest from domestic buyers — but otherwise Competition star wattage is dim. At a press conference at the start of the week, Fremaux addressed the question of why the festival had programmed so many unknown entities. “We are reproached [by the media] for only taking great filmmakers who are known,” he said. 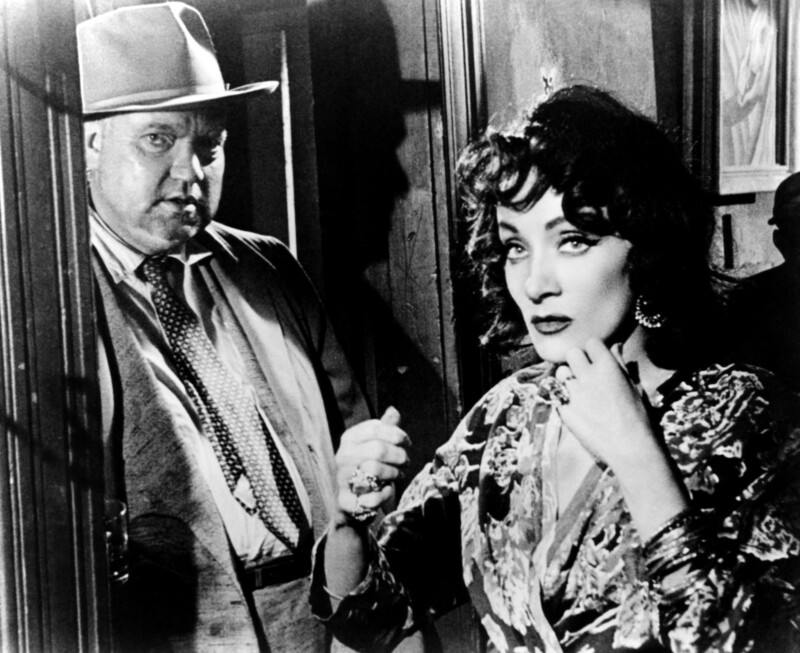 “We wanted to open up the selection more widely.” He noted that after winning the Palme d’Or for “La Dolce Vita,” Federico Fellini never returned to Competition. Ironically, Netflix is sending its sales team led by Matthew Brodlie to scoop up some Cannes titles — which would then be seen by audiences in more than 190 countries around the world. And lacking Netflix, Fremaux returned to HBO and booked — out of competition — Cannes auteur Ramin Bahrani’s remake “Fahrenheit 451” (HBO), starring Coogler’s go-to star, Michael B. Jordan, who might gain some Cannes cred for his Supporting Actor Oscar campaign for “Black Panther.” At least audiences will be able to see it. Finally, it’s a question of who stands to win and lose in the Cannes game, and right now, between France’s archaic distribution windows and an unforgiving calendar, the Grandaddy of all festivals is not keeping up with the times.